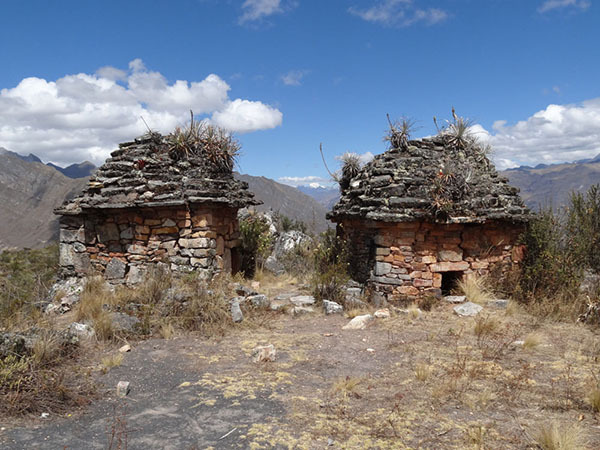 This is Peru’s premier mountain destination, offering endless trekking opportunities amid magnificent scenery and the highest summits in the country. 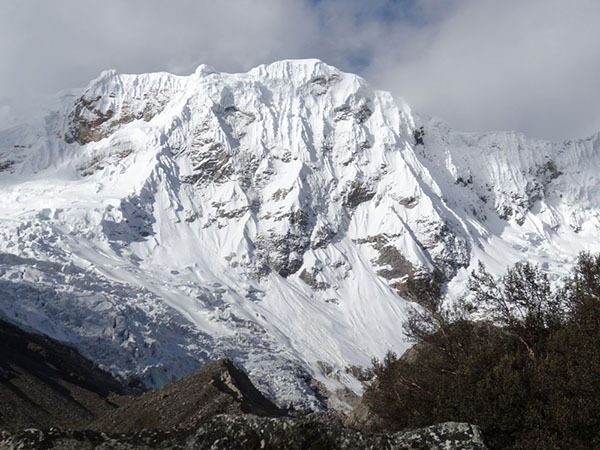 More than two hundred snow-covered peaks over 5000 m stretch in a swath 180 km long and 20 km wide; thirty-two of them reach over 6000 m. Here are over seven hundred glaciers, the highest concentration in the tropics, their levels sadly receding year after year due to climate change. 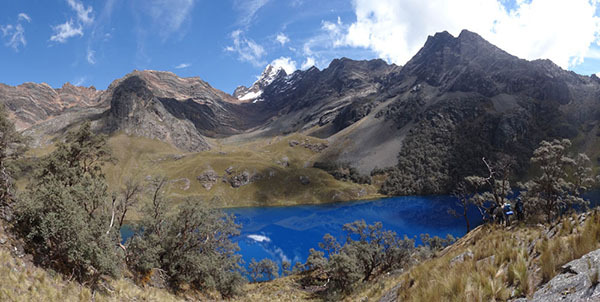 At the base of the glaciers are more than four hundred lakes, turquoise jewels enhancing the superb mountain scenery. 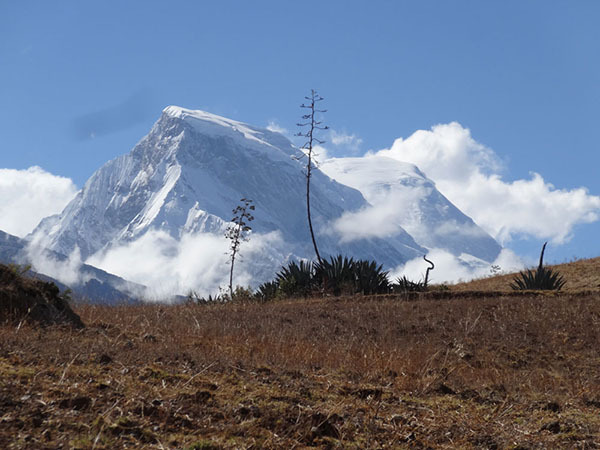 Seven life zones above 3000 m are home to 850 plant species, as well as 210 species of birds, from condors to hummingbirds. Many of these natural wonders are protected by Parque Nacional Huascarán, and trekking permits are issued by the national park. 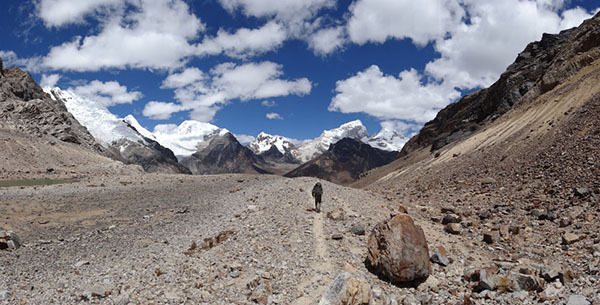 “THE BEST WAY TO train for trekking is by trekking,” goes the motto of one of our long-standing hiking companions. 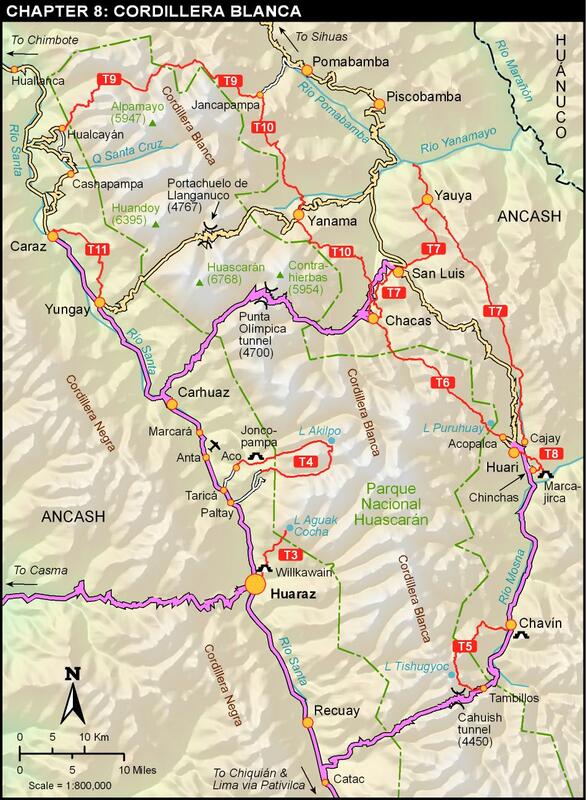 This may be overstating the case but, insofar as it makes a good point, an ideal place to train for trekking in the Cordillera Blanca is along this route. 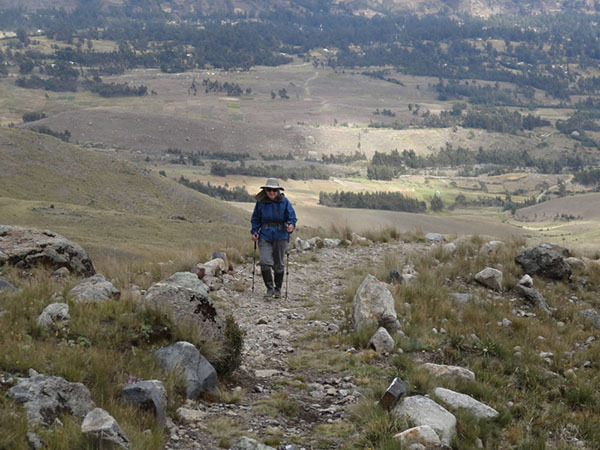 Within easy reach of Huaraz and with minimal navigational challenge, this is a fine workout to build stamina for longer more challenging trails ahead. 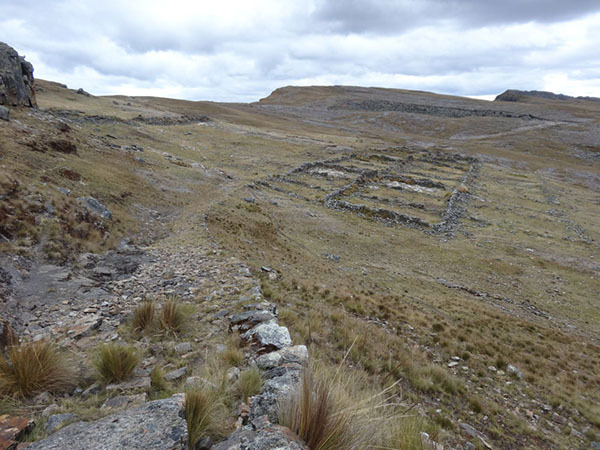 The route begins at a small archaeological site and climbs to a pretty little lake nestled under glacier-sculpted walls. 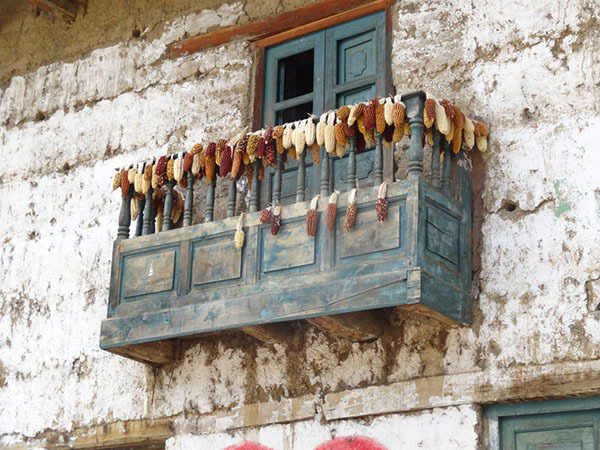 Along the way are various introductions to the many charms of the Cordillera Blanca: fine views, interesting flora including traditional crops, polylepis trees, and miniature cacti thriving above 4000 m. If you are lucky, you may see nesting Andean gulls on their little rookery islands in the lake.